Do you fancy yourself a Detroit know-it-all? Inside Detroit invites you to put your acumen to the test and expand upon it on October 1 at their full-scale scavenger hunt. 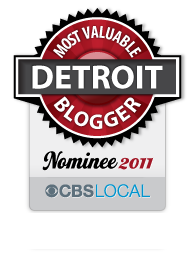 The premise behind Scavenge Detroit is to find value in a city that has been discarded by so many people. Teams of four will disperse throughout downtown Detroit to answer clues about all of the city’s assets: from small businesses to big landmarks and everything in between. Unlike other corny, math-intensive scavenger hunts, Scavenge Detroit will take participants on a quest to find answers that relate to Detroit’s history, culture and community. During the two-hour extravaganza, you’ll be able to tap into your knowledge of Detroit to uncover the best-kept secrets. The registration fee is $120, which includes a souvenir backpack filled with goodies food and entertainment at the After Party at Hard Rock Café and a chance to win $500 in gift certificates to Detroit’s best restaurants and shops. The Hunt begins at 3 p.m. outside of the Hard Rock Café in Detroit followed by an after-party at 5 p.m. For more information visit InsideDetroit.org. The fundraiser will benefit Inside Detroit and their Downtown Welcome Center. As the only Welcome Center in downtown Detroit, it has over 1,000 visitors each month and features locally-made products from Detroit entrepreneurs. The event is sponsored by Quicken Loans, Hard Rock Café, Text Ripple, Detroit 2020 WXYZ Channel 7, The Metro Times and the Detroit People Mover. This entry was posted in Things To Do and tagged community, culture, detroit, history, inside detroit, scavenger hunt. Bookmark the permalink.